I think there are a few big myths about moisturizers that most people seem to believe. One is that moisturizer can get rid of wrinkles. 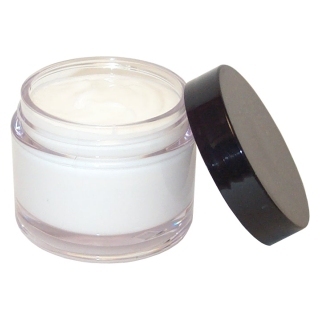 Another myth about moisturizer is that it is a vital anti-aging tool. Yet another myth about moisturizer is that you need one every day, twice a day. So what exactly does your moisturizer do? And what can’t your moisturizer do? First let’s debunk the idea that a moisturizer will get rid of wrinkles. That is simply impossible. What a moisturizer can do is temporarily plump up wrinkles and make them appear less obvious. But a moisturizer cannot bring about a true change in regards to your wrinkles – you need plastic surgery, laser treatments, or Retin-A to truly erase wrinkles. But if you want your skin to temporarily appear smoother and for your wrinkles to be less obvious than a moisturizer can help you temporarily achieve that goal. So if you want to stay looking young as long as possible do you need a moisturizer as part of your anti-aging arsenal? Not necessarily. You need to use a moisturizer if you feel that your skin is dry (lacking oil) or dehydrated (lacking water). Not everyone needs a moisturizer. You might find that you need a moisturizer during the winter but not during the summer. A moisturizer is not a must have skincare product like a great cleanser or an antioxidant serum. What is a good way to tell if you need a moisturizer or not? Wash your face and then wait about 10 to 15 minutes. During those 10 to 15 minutes do not put anything on your face. After you’ve waited think about how your face feels – is it tight or dry feeling? Then you need a moisturizer. If you notice flakes on your face after the waiting period than you need to gently exfoliate and then use a moisturizer. Now that you know what your moisturizer cannot do – what does a good moisturizer actually do? Actually what a moisturizer does is very straightforward. A moisturizer will keep the skin hydrated, help the skin’s barrier function work properly which means it keeps moisture in but bacteria and other undesirable elements out, and helps keep the natural moisturizing elements in the upper layers of the skin replenished. And do remember that you don’t need to go overboard when applying moisturizer. Use about a penny size worth of moisturizer on your face and neck to begin with. If you feel you need more moisturizer than add it a little bit more at a time until you feel that your skin is well hydrated. And one last tip on applying moisturizer – if at all possible apply moisturizer to your skin while it is slightly damp. That way your skin locks in the water and that adds to the hydration your skin is getting. People are always confused with the real purpose of using moisturizers. They are meant to keep your skin hydrated. Because wrinkles are associated with dry skin, one can make a mistake that moisturizers can help to get rid of them.